Much is being said lately regarding the accessibility issues from Gozo to Malta, especially regarding this pie in the sky – the tunnel between Malta and Gozo. Gozo was once promoted as ‘the Island where time stands still’ – now a more appropriate saying is ‘the island where dreams and reality never meet’. So let’s consider the bare basics of all the arguments being thrown about and which I have to point out, most of them are being circulated with the objective of brainwashing the Gozitans before the forthcoming EU elections. Members of the government never fail to trumpet their government’s achievements from 2013 to the present. This mainly refers to the present passenger and vehicles crossing over to Gozo – they quote the increase, which has always been rising, and to be more to the point I am quoting them here – from 2013 to 2017 the passenger increase using Gozo Channel was a whopping 29.3 per cent while the vehicles crossing over the same period was that of 26.2 per cent according to the National Office of Statistics. These alarming and encouraging figures are an indication of the ever-increasing business in Gozo as lately the secretary of the Gozo Tourism Association and the president of the Gozo Business Chamber commented early this year that queues of vehicles confirmed this. These opportunists are missing to note that all this passenger and vehicle increase to Gozo was mainly due to the investment in developing the Mġarr terminal as well as the Gozo Channel ferries by the previous administration. This government has as yet implemented nothing to improve the accessibility issue though in the manifestos they were not short of blatant and inflated promises and I explain this. 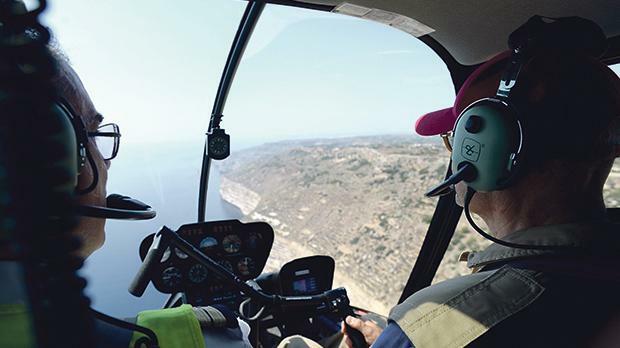 In the 2013 manifesto the Labour Party said: introduce a rapid sea service between Gozo and Valletta; introduce a viable helicopter service between the islands; and launch cheaper ticket schemes for travelling between Malta and Gozo. In the 2017 manifesto the PL was even more ambitious: initiate the project of the tunnel between Malta and Gozo. A social impact assessment was carried out and they are claiming that 82 per cent of Gozitans were in favour of the tunnel; implement a fast ferry - a Gozo to Valletta crossing in less than 45 minutes while relieving the impact on travel; introduce a pre-booking Gozo Channel system and a fast lane be created for this purpose. Now let’s consider what has been implemented – and everyone in his senses realises that after more than five years nothing in this regard has materialised. Even more, the negative effect was that due to the non-implementation of the helicopter service, urgent cases that needed treatment at Mater Dei Hospital could have availed of this service and maybe a fatality could have been avoided. The promise of the fast ferry did not materialise for an unjustified reason that personnel at Castille opted to act in the interests of a private entrepreneur, failing to consider urgency of the Gozitan commuters who badly need this service. This gives rise to a further promise – the crossing was meant to be 45 minutes from Mġarr to Valletta – now whoever is promoting the tunnel can this commuting time be improved by the tunnel? The need for another ferry is obvious considering the increase in commuters and vehicles – still the Minister of Finance who struggled to avoid admitting that corruption in Malta is rife was then so blunt to deprive Gozitans the provision of another ferry at least for the summer months. The heavy vehicles terminal at Sa Maison was taken over for a Yacht Marina – the drivers of these vehicles were not provided with an alternative acceptable solution – where was the Gozo Business Chamber? Did they register their disapproval and suggest alternatives to the authorities concerned regarding this situation? After all, this aggravated the queuing and traffic situation at Ċirkewwa. The implementation of the ‘fast lane’ turned out to be a ‘snail lane’ facing the reality that to cross over to Gozo during summer or weekends even more during a festive season a two-hour wait was the norm. So now a tunnel is being lumped upon the Gozitans without giving any Gozitan the right to express his/her views about this. An impact assessment report claiming that 85 per cent Gozitans are in favour of the tunnel is mentioned in the 2017 Labour manifesto. Still I wonder whether this is available to the public for reference. Allow me to be clear about this – presently Gozitans are really frustrated with the prevailing accessibility situation considering that most of them voted for this government still they do not dare vent their disapproval in the open. My plea to the government on behalf of all those staunch true Gozitans who are prepared to uphold the ideals of what we Gozitans truly expect and deserve – is to improve the accessibility for Gozitan commuters as was promised in your manifestos – then be transparent and hold a referendum to gauge the pulse of the Gozitans and act accordingly. These are issues being faced for the long term as was now lately another comment that a fourth ferry may be built. We live for the present and the hardships we are facing have been aggravated by more than five years of neglect and bureaucracy. As Keynes rightly said – in the long term we are all dead. Emmanuel Galea is an analytical thinker.